March 27 is the 86th day of the year(87th in leap years) in the Gregorian calendar.There are 279 days remaining until the end of the year. Year 1309 (MCCCIX) was a common year starting on Wednesday of the Julian calendar. Rupert of Salzburg was Bishop of Worms as well as the first Bishop of Salzburg and abbot of St. Peter's in Salzburg. He was a contemporary of the Frankish king Childebert III and is venerated as a saint in the Roman Catholic and Eastern Orthodox Churches. 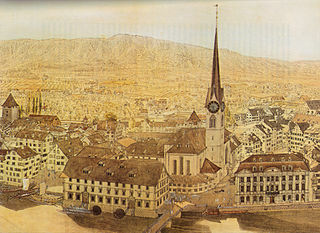 Rupert is also patron saint of the Austrian state of Salzburg. Year 853 (DCCCLIII) was a common year starting on Sunday of the Julian calendar. Saint John of Egypt,, also known as John the Hermit, John the Anchorite, or John of Lycopolis, was one of the hermits of the Nitrean desert. He began as a carpenter but at the age of twenty-five began to live a life of solitude. Saint Philetus, is along with Saints Lydia, Macedo(n), Theoprepius (Theoprepides), Amphilochius and Cronidas (Cronides), venerated as a Christian martyr. Nîmes is a city in the Occitanie region of southern France. It is the capital of the Gard department. Nîmes is located between the Mediterranean Sea and the Cévennes mountains. 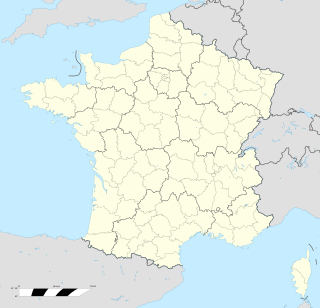 The estimated population of Nîmes is 146,709 (2012). Saint Amador of Portugal, whose feast day is celebrated on 27 March, was a hermit in Portugal. Saint Augusta of Treviso, also known as Augusta of Ceneda, Augusta of Tarvisium, or Augusta of Serravalle, is venerated as a virgin martyr. ↑ J.C. Cooper (23 October 2013). Dictionary of Christianity. Routledge. pp. 235–. ISBN 978-1-134-26546-6. ↑ H. E. L. Mellersh; Neville Williams (1999). Chronology of World History. ABC-CLIO. ISBN 978-1-57607-155-7. ↑ Alexander Mikaberidze (6 February 2015). Historical Dictionary of Georgia. Rowman & Littlefield Publishers. pp. 332–. ISBN 978-1-4422-4146-6. ↑ Szabó, Péter Károly (2012). "Báthory Zsigmond". In Gujdár, Noémi; Szatmáry, Nóra. Magyar királyok nagykönyve: Uralkodóink, kormányzóink és az erdélyi fejedelmek életének és tetteinek képes története [Encyclopedia of the Kings of Hungary: An Illustrated History of the Life and Deeds of Our Monarchs, Regents and the Princes of Transylvania] (in Hungarian). Reader's Digest. p. 186. ISBN 978-963-289-214-6. Wikimedia Commons has media related to March 27 .